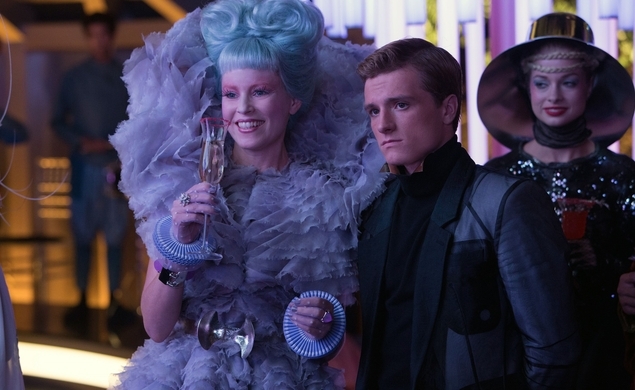 Lionsgate issued a triumphant press release this morning announcing that The Hunger Games: Catching Fire is now the highest-grossing film of 2013 at the U.S. box office. Iron Man 3’s $409.013 million has now been lapped by The Hunger Games’ $409.389 million. Whether Katniss Everdeen can whup Tony Stark internationally, however, is another question. The second Hunger Games stands at $832 million worldwide thus far, with an unusual 50-50 split between its domestic and international grosses. Iron Man 3 ramped up its global total to $1.2 billion, about two-thirds of which came from overseas, a more typical ratio for big studio movies in the 2010s. Lionsgate’s press release reels off a bunch of other stats, also noting that both the first and second Hunger Games rank among the 15 highest-grossing domestic releases of all time (if you don’t adjust for inflation, naturally). The press release buries the most interesting factoid: after knocking off Iron Man 3 (which also would fit this description), The Hunger Games: Catching Fire is the first 2-D film to reign as a yearly domestic number one since 2008, when The Dark Knight grossed $533.3 million. Avatar came along in 2009 and since then it’s been all 3-D champs: Toy Story 3, Harry Potter And The Deathly Hallows: Part 2, and The Avengers. Could this be an indication of 3-D fatigue taking defintive hold, or is it just a one-off anomaly?